Magnetic stirrers and vortex of second-hand, revised and guaranteed. 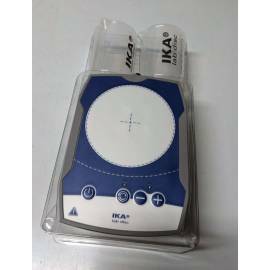 Magnetic stirrer IKA brand new to 800ml. Speed range: 15-15000 rpm. Automatic rotation reversible every 30 seconds. Weight: 12 mm Hg. Ambient temperature +5 up to 40ºC. Humidity permissible relative: 80%. 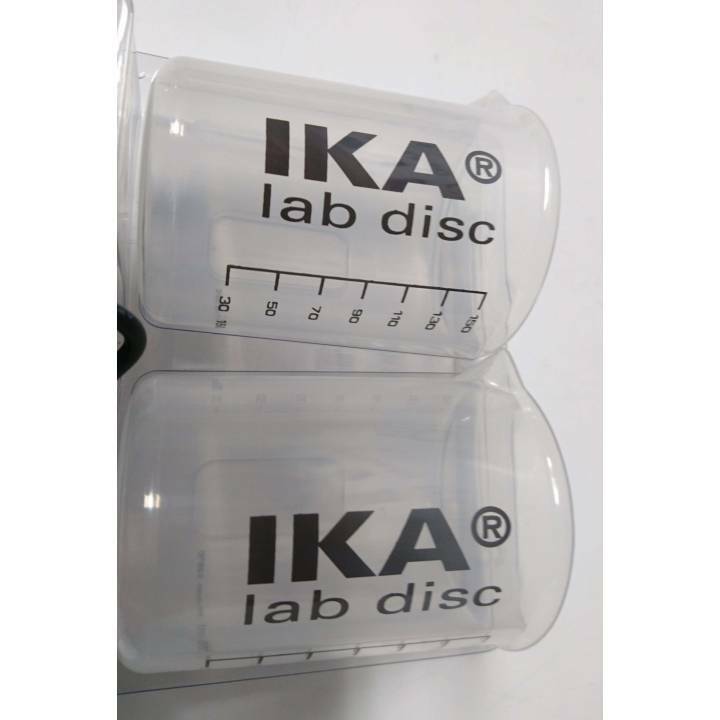 Bar agitation of maximum length: 25 mm Dish: 100mm diameter. Housing made of resistant material. Protection Class IP65. Non-slip Base and secure. Includes two glasses and manual. 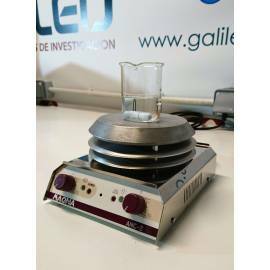 Magnetic stirrer with heating plate of stainless steel of 10 cm diameter. Speed range of 0-1.500 rpm. Temperature range of 0 to 450ºC. 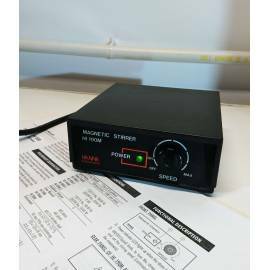 Mini magnetic stirrer 1 liter. Speed range: (100-1000 rpm). Temperature 0 to 50°C, RH max 95% non-condensing. Speedsafe. Diameter of the plate 135 mm diameter. Cover ABS plastic lightweight design. Easy to use. 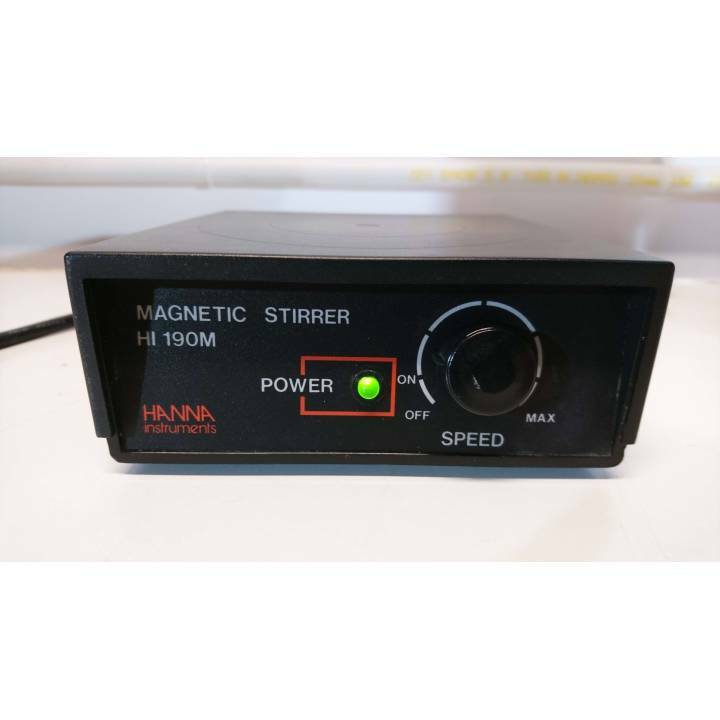 Magnetic stirrer mini Hanna. 1L maximum capacity of agitation. Temperature (0º to 50ºC). Mechanism "Speedsafe™" and adjustable control of speed. Speed range: minimum (100 rpm) and maximum (1000rpm). Power light. Adapter 12VDC. Cover of ABS plastic. Includes manual. 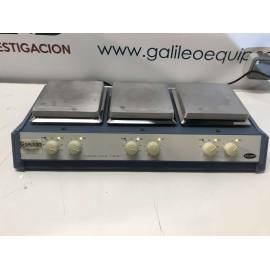 Stuart SB162-3 three position hotplate magnetic stirrer. Stirring quantity: 15 L (water) at each position. Speed range: 100 – 1.500 rpm. Max. Temperature: 325°C. Top Plate dimensions: 160 x 160 (at each position). Top Plate material: Al/Si alloy. User manual. 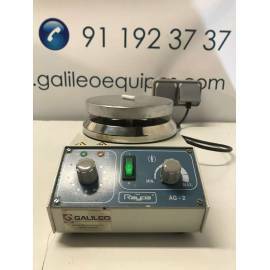 Raypa AG-2 hotplate stirrer. 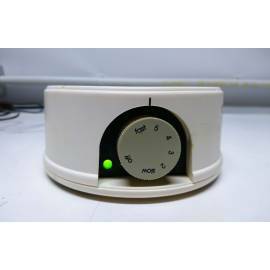 Controller with main switch, analog speed and temperature control. compact. Maximum rotation speed 1,500 rpm. Maximum temperature 400ºC. Maximum stirring capacity up to 15 L. Plate diameter: Ø135 mm. User manual.